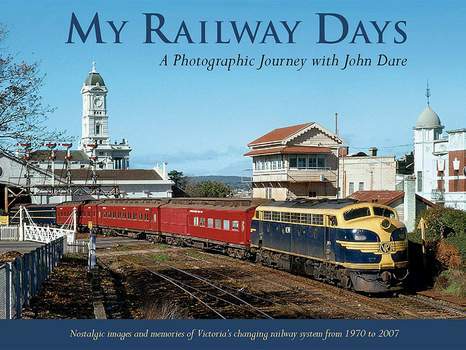 This impressive 160 page (230 X 290mm) hard cover book is written by Victorian railway enthusiast, John Dare. It contains over 220 colour and black and white images selected from the author’s extensive photographic collection. The photos depict a variety of steam, diesel and electric locomotives, rail motors, rail cars, and electric suburban trains in Victoria. Seventeen chapters tell a story of the daily railway operations in Victoria from 1970 until 2007. Each chapter and photographs contain detailed information about the subject, along with many personal memories written by the author. A section titled, ’A Chronology in Time’, summarises the numerous events and changes which took place between 1970 and 1999, prior to the new era of railway privatisation in Victoria.